You will need to apply for a tax number called the Employer Identification Number (EIN) to the Internal Revenue Service (IRS) even if you are a small business or a vendor. In some cases, use of social security number of the employer is allowed, but having an EIN is a must for all business and vendors in the United States of America. You can apply for EIN online on the IRS website or through post. 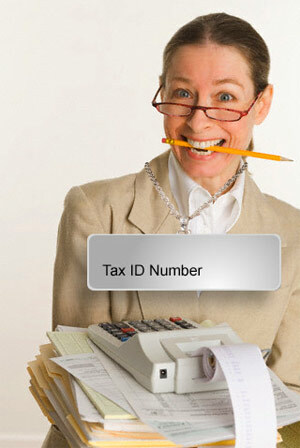 You can apply for the federal tax number online through the website of IRS. This is the quickest way to get the ID, and in a less hectic way. However, you might need to send certain documents as well. All the requirements will be listed on the IRS website or back of the form. At the submission of the EIN application, you will need to give your social security number, individual taxpayer identification number and Internet EIN reference, which will be on the top of the form. Whether you apply online or get the form posted to your mail address, you will need SS-4 form to apply for the federal tax number. It is the same form as EIN. Fill out all sections of the form carefully, giving all details of your business or the work you do. You can also seek assistance on the helpline of the department if not sure about certain requirements in the form, or else get some professional help on a minimum service charge. If you have filled out a printed copy of the form, you will need to post with all required documents on the postal address of IRS, which should be given at end of the form. Or else, you can see it online on the IRS website, note it down and post it to the IRS Operation Center in Cincinnati, Ohio. After posting the form or filling out online, you will need to wait for processing of your application within a certain period of time, most likely to be informed to you in confirmation of receipt of your application. You might also be asked to send some further information as a follow-up of your application, and you should be able to satisfy all those requirements. If you want to get your application processed quickly, better apply for the number online, as this is the quickest way to get the federal tax ID.